Unlike some people we don&apos;t care where this thing closes. What we&apos;d instead like you to do is predict the number of times, from the second this post goes up until the closing bell, our favorite business network verbally* mentions "Dow 10,000." Don&apos;t know what the prize will be for whoever gets it closer without going over but it&apos;s gonna be good. For those of you with booze on hand, feel free to take this thing to its obvious drinking game conclusion and then bill us for the trip to the ER to have your stomach pumped. Update: Two minutes in we&apos;re at 9, so we&apos;re going to put the under/over at 75 and take the over. *To include the flashing banners would be obscene. 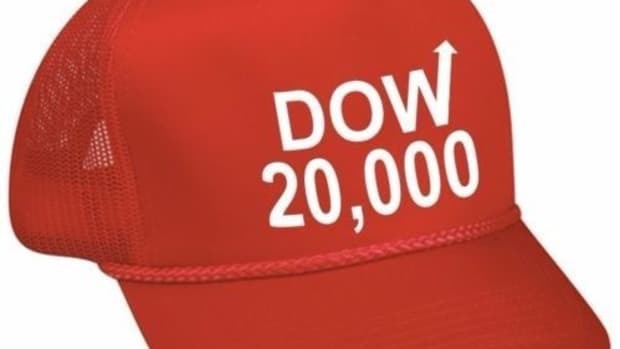 Scott Wapner Rejects Your Theory That Dow 10,000 Is "Just A Number"